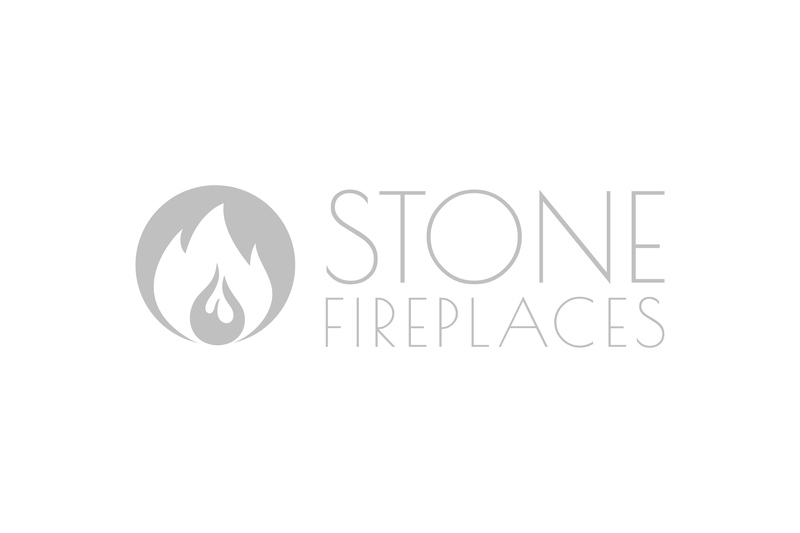 Home / Archive by category "Cast Stone Mantels"
To choose the perfect fireplace, you need to take a few important points into consideration. It should go well with your home decor, construction material should be chosen carefully and structure should be designed as per the size of the room. To get further details, check out the informative infographic below. 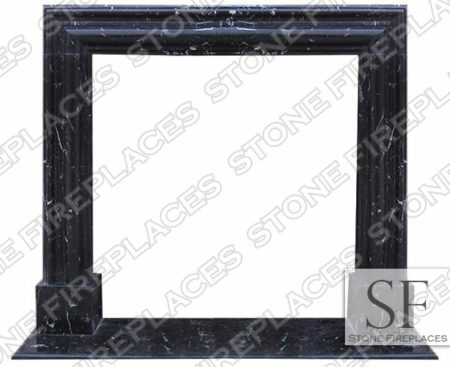 Marble mantels are a popular choice for homeowners who want their fireplace to be the focal point of the room. Imagine the family sitting around a roaring fire, sharing stories, and enjoying each other’s company while the marble mantle holds family photos. Those photos are memories of the good times. They portray events that were special and showcase the kids when they were younger. This is a very important part of a home, don’t let an important space like this be ruined with the look of a cheap mantel made of unnatural materials. A spot like this deserves the best natural stone money can buy. If you are interested in sprucing up your space with a marble mantle you might consider hiring professional help. These mantles need to be measured because some of them are custom made. You might be able to find one in stock that meets your needs but the fireplace should still be measured properly. Measure more than once to be sure to get the right fit. Once the space is measured and the mantle ordered, it will have to be installed. This will most definitely need to be done by professional contractors. The fireplace is the focal point of the room, if there are flaws, they will be noticed. Choosing to order a marble mantel is an excellent decision. This purchase will add value to the home and to family time. There are many to choose from and each one will be unique because marble is a natural stone; no two pieces are going to be identical. The piece you order could be smooth and simple with clean lines or it can be carved and ornate with intricate patterns. It is really up to the homeowner and their particular style. 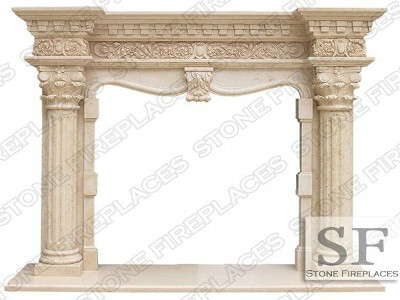 Once marble mantles are chosen they can be ordered. Buyers will need to call or email to place their purchase. These are custom made so every detail is important. Be sure to have your measurements and payment option ready when ordering. If you have any questions, get them answered before placing the order and making the purchase. 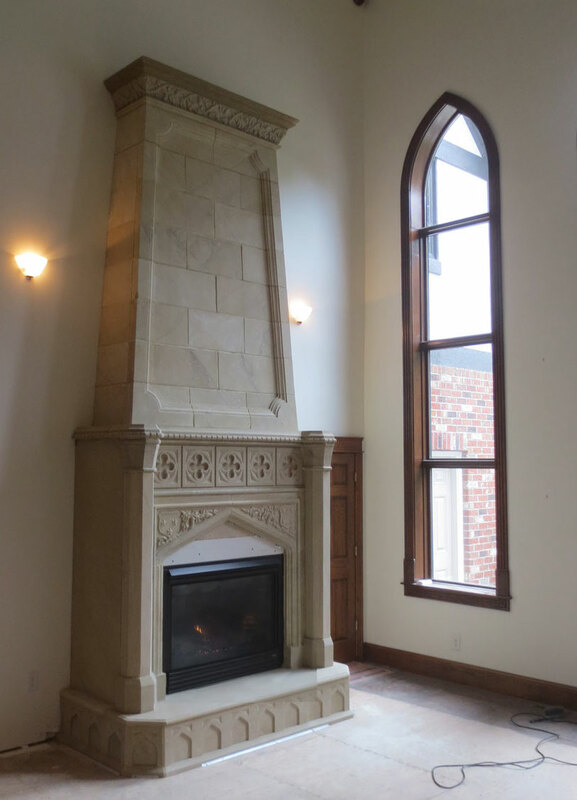 Once the order is made, expert masons will begin working on your custom marble fireplace mantle. In a matter of weeks, your space will be the focal point that you always dreamed it would be. A fireplace in our homes is usually at the focal point. A well-designed fireplace and with fire glowing makes the room alive. It makes your guests feel welcomed, and it symbolizes comfort, generosity and above all the warmth of friendship that you are offering. Whatever is placed on the fireplace mantel and the wall that is disguising the chimney can always balance the setting and also qualify your fireplace as a focal point. The decorating pieces based on the mantel depth and the makeup of the chimney wall will dictate how the fireplace looks. Some of the decorating ideas you can combine with a travertine fireplace mantels include:CASUAL COUNTRY THEMEA casual country decor can bring whimsical ideas and homey charm to your home. You may include things like a fishing basket or even a sewing basket with a boxed shape. You can also try a potted plant like the ivy on the mantel. A whimsy piece like a star, rooster or a fish on a stand. It can even be a rectangular piece or a framed embroidery piece against the wall. With this, you can add a tall vase with fresh flowers to the end of the mantel and balance them with candles or any other item on the end. You can use the flowers in a low vase but in the center of the mantel. A mantel clock in the center or close to one end of the mantel can maintain the traditional decor. You can then add a detailed painting of flowers for the wall over the mantel to add visual interest. 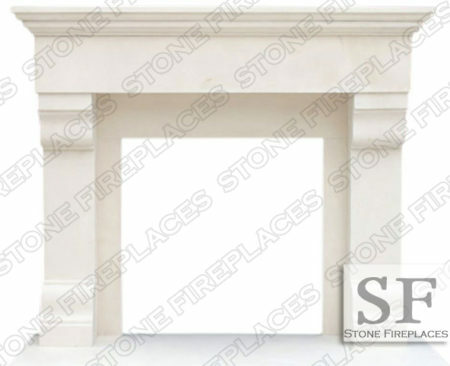 As for a modern decor, you may have to minimize the displays on your travertine fireplace mantels. For example, you can get a simply extended piece of sculpture in the center of your mantel or even a series of small other pieces and then line them up on either end or to the full length of your mantel. This can show your guests your love for art. If you want to focus the attention on the wall art, you can leave the mantel bare. You can use the mantel as an easel for that favorite piece of art. You can then add indirect sources of light from two sides to give it a dramatic ambiance to your room. As for your wall, you can give it a large favorite picture, with a tranquil location like the ocean or even mountains so that your guests can sit back and enjoy. 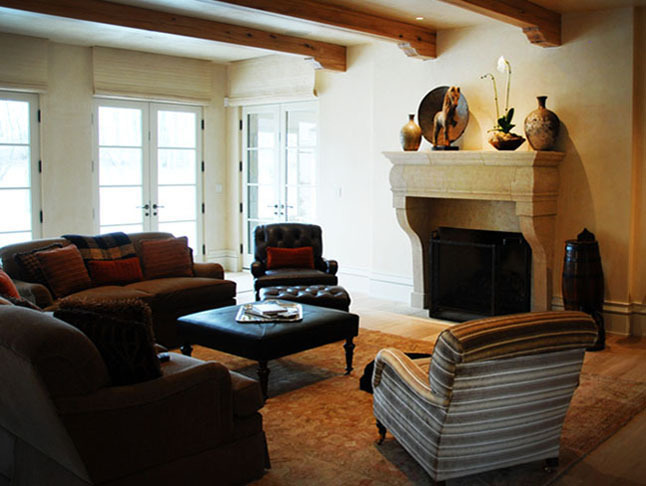 From how your Travertine fireplace mantels is designed, it can showcase how the style of the room is all about. It invites the feeling of warmth, relaxation, dynamic glow and the fireplace itself defines the room ambiance. 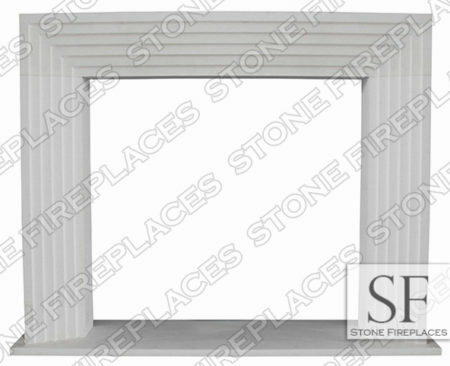 A contemporary fireplace is substantially ornamental even though it is a secondary heat source. Regardless of whether its fire source is electric, wood or gas, the surrounding is really what defines the style of its looks. If it is good looking, it can take an average home and turn it into something amazing. The roaring fire creates something great that calms the soul and brings the house together. Selecting the right fireplace for the home is as important as it seems. Picking the right mantel is the difficult part. Here are some of the important factors to consider before purchasing a fireplace mantel is the size, style and color of the mantel. Price should not be the driving factor in the purchase of the right surround but it can many times become that. Really you can get what you want and not necessarily for the highest price out there. Knowing what look you are going for and the space in which it is being installed in more important. For example if the home is a rustic French cabin then the fireplace mantel should fit accordingly. The selection should be made on what fits the style of the home and the decor of the space. What will helped the fireplace standout most and how will it decorate the space best. In this example our Rustic French Mantel would be a great option. It can either be made from cast stone or natural stone. It is usually in stock made from sandstone. Sandstone has a rustic look with its earthy tones. It comes in a variety of colors and tones such as brown, grey and white.